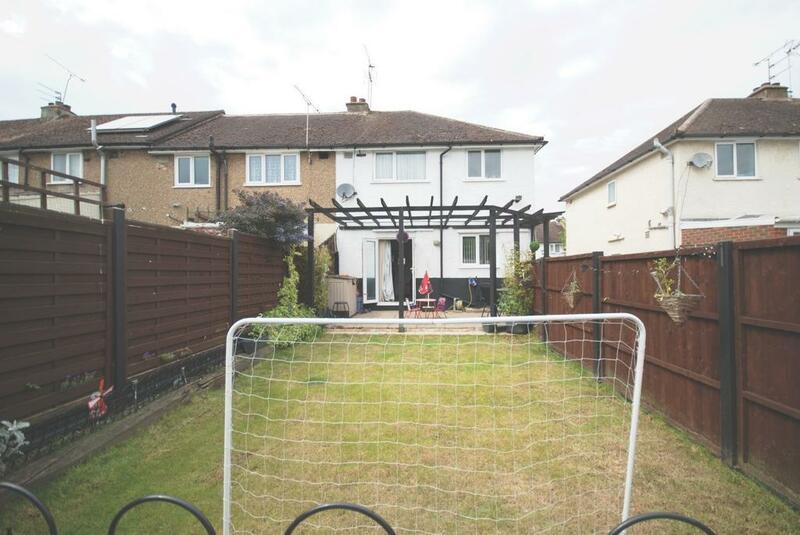 Situated in a popular location within easy reach of local shops, schools and amenities, this THREE BEDROOM END OF TERRACE property offers VERSATILE SPACE. Benefitting from a LARGE LOUNGE, KITCHEN/BREAKFAST ROOM and THREE GOOD SIZE BEDROOMS, this home also offers OFF STREET PARKING and a DOUBLE WIDTH GARAGE. 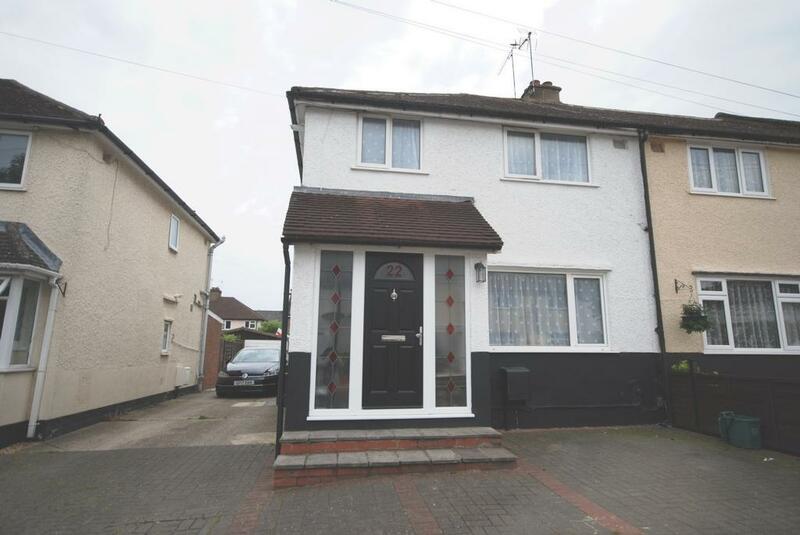 Offered CHAIN FREE this property has potential to EXTEND TO THE REARand INTO THE ATTIC (subject to the necessary PP). Space to hang coats etc, stairs to first floor. 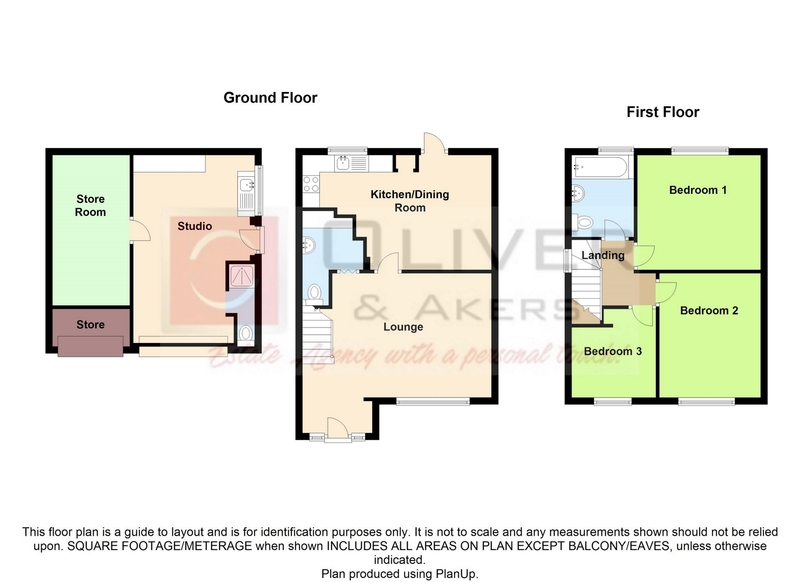 Window to front, Ceiling light point, Radiator, TV points, Power points, Fitted Carpet. Ceiling light Point, Low level WC, Wash hand basin, Plumbing for Washing machine. 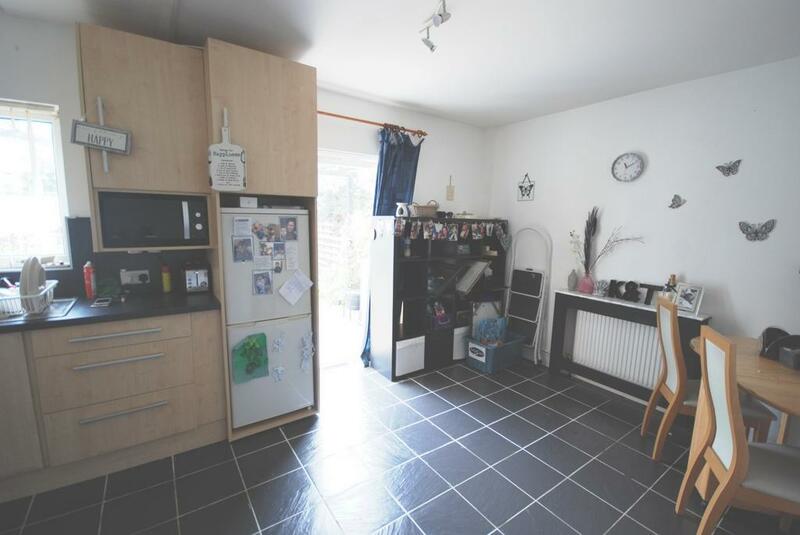 Window to rear garden, Ceiling light point, Range of fitted wall and base units, Integrated cooker and hob, Power points, Sink with mixer taps, Space for fridge/freezer, Patio doors to rear garden. Window to rear garden, Ceiling light point, Power points, Radiator. Window to front, Ceiling light point, Power points, Radiator. Window to front, Ceiling light point, Power points, Radiator, Cupboard housing boiler. Window to rear,Ceiling light point, Panel enclosed bath with mixer taps and hand held shower attachment, Low level WC, Wash hand basin,Tiled walls, Wood effect flooring. 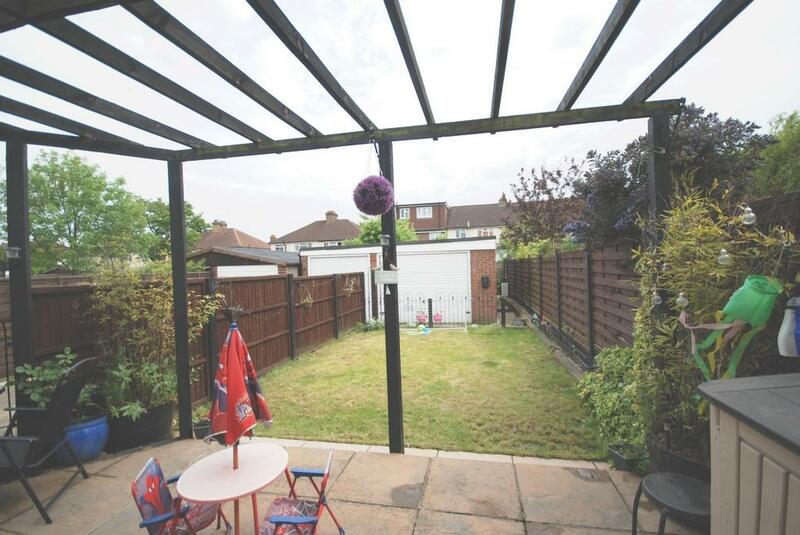 Laid mainly to lawn, Paved patio area, Timber pergola ideal for outside dining, gated access to garage and side. Shared driveway with off street parking to the front for 2 cars.